A basic and essential product following a tint or bleach is our PH Acid Shampoo. It regulates the natural hair PH and gently cleanses coloured, bleached or highlighted hair, neutralising the alkaline residues from chemical treatments. Formulated with hydrolysed keratin to rebuild and re-establish the hair structure following a tint or bleach. 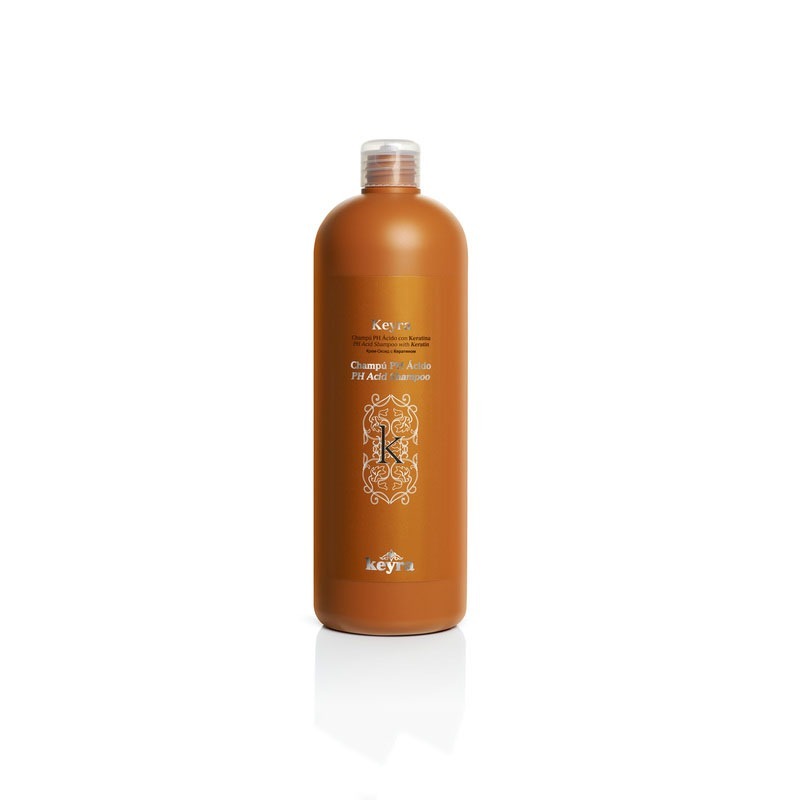 It also contains conditioners and gentle tensoactives that add softness, shine and silkiness, guaranteeing maximum hair care. Pump a dose of Keyra PH Acid Shampoo onto your hand, spread evenly over damp hair and massage into a rich lather. Rinse and repeat the application, letting the shampoo act for a few minutes to help regulate the hair pH. Finally, rinse thoroughly with plenty of water. Pack info: 12 bottles/box. Unit sales.